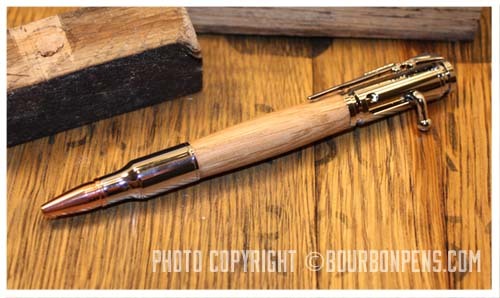 Available in gold, gunmetal (shown below), black or chrome (shown below) hardware, and your choice of wood "flavor." 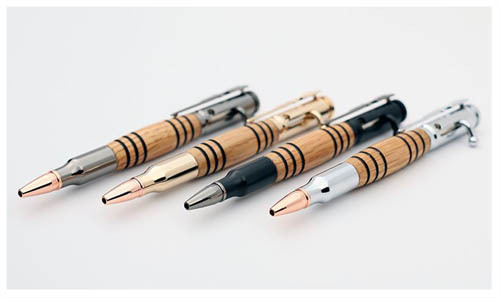 Refils are available at most office supply stores. 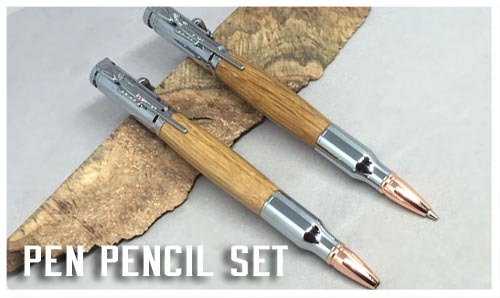 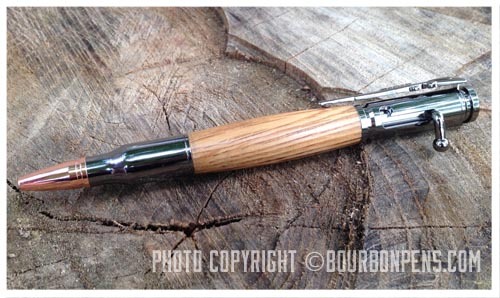 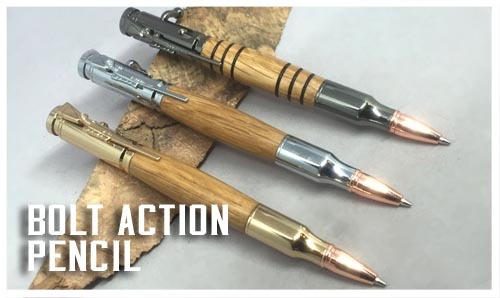 These bolt action pencils use the same mechanism as the pens -- slide the bolt to advance the lead. 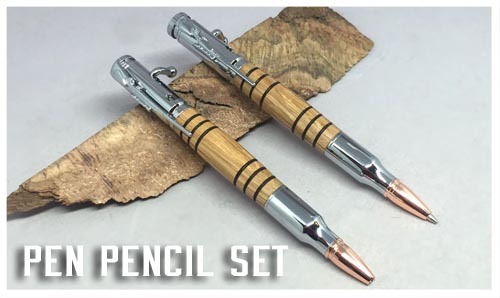 The pencils are 0.5 mm lead. 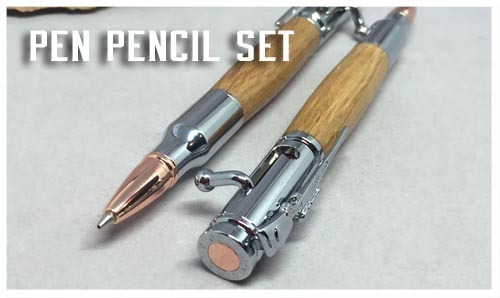 Pencils are currently only available in Chrome, Gold, and Gunmetal. 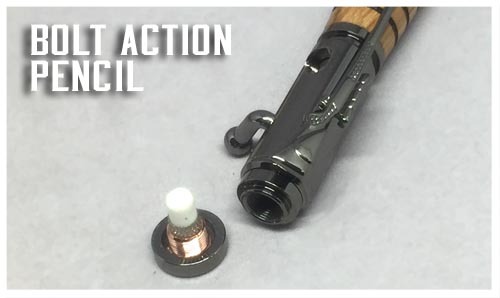 Shown below with and without barrel stripes. 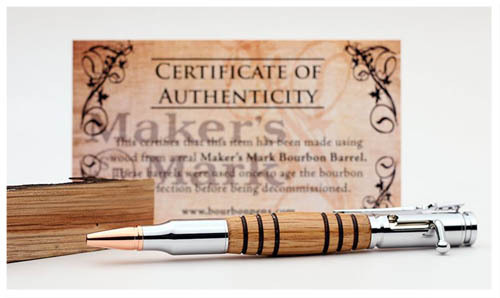 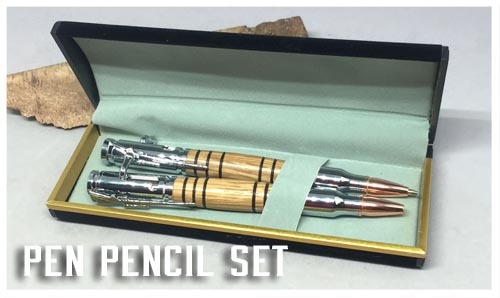 The Pen and Pencil set includes a gift box.